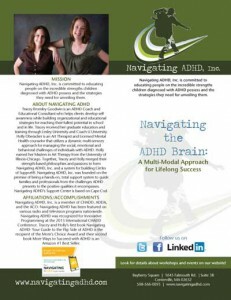 The Navigating ADHD, Inc. Circles of Support Model includes all who are involved or need to be involved in a child or teen’s treatment plan. The support team might include but is not limited to educators, doctors, counselors, speech and language pathologists, occupational therapists, neuropsychologists, psychiatrists, family members and coaches. 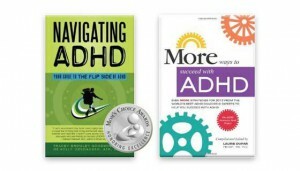 When a Circle of Support is developed, progress is achieved quickly and includes all areas of the child’s life. We develop workable communication systems for the support team so that each member can efficiently share information and strategies. When these immediate and hands-on strategies are repeated across all areas of life, the progress and success can be life-long. Services are available onsite, at off-site locations and online.